MONTHLY FOCUS: Jesus can do anything. This month we are learning, “Jesus can do anything.“ No matter how impossible or hard a situation seems, we can remember that Jesus can do anything! 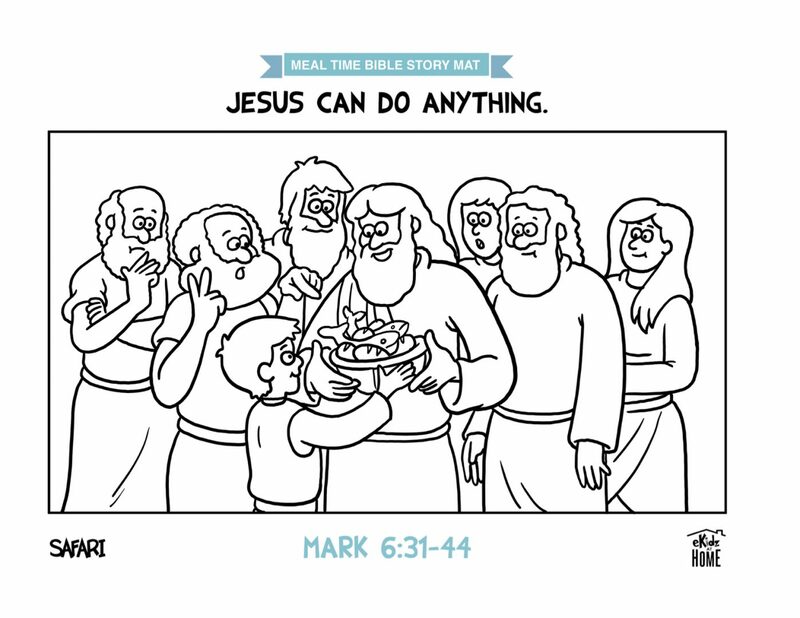 We will learn the story, “Jesus Feeds Thousands,” in Mark 6:31-44. Over 5,000 people came to see Jesus. He began to heal many people, and later the disciples realized they had no food to feed anyone. Jesus said, “See if anyone has any food.” They found one boy who had five loaves of bread and two fish. Jesus took the food, gave thanks to God, and began to multiply the food. After everyone had eaten, there were 12 baskets of food left over. Jesus can do anything!